. 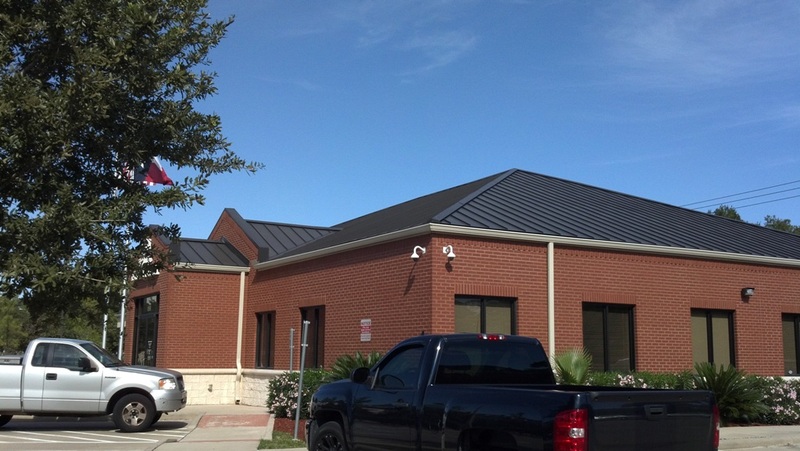 Metal Roofing Companies | Roofing Comapanies Houston | Anchor Roofing Inc.
Metal Roofing Companies are not all the same. There are Metal Roofing Companies that only furnish and fabricate supplies, but do not install the roof systems as it is often viewed as a conflict of interest to be both a supplier and an installer. Metal Roofing Companies often have specialized fields they specialize in such as: R Panel or M Panel Roofs, Standing Seam Roofs, Aluminum Shakes, Decra Metal Tiles, Roman Metal Tiles, Metro Metal Tiles. Then there are Metal Roofing Companies that handle all types of metal roofing such as Anchor Roofing and Sheet Metal. Metal Roofs can be installed as a retrofit, new construction, or tear off and complete re roof. It depends on the project and the budget. Metal Roofing can be installed for as little as $3.00 a square foot all the way up to over $10.00 a square foot. Metal Roofing systems can be made to simulate the look of a tile roof without the live load that is associated with traditional tile roof systems. Companies that manufacture and fabricate metal such as Berridge Metals can fabricate and form either concave or convex roof panels as well as panels of any length eliminating endlaps and the associated leaks from end laps. Many homeowners and businesses alike are not aware of the fact that since May 1st of 1998 TDI (Texas Department of Insurance) has mandated that insurance companies provide mandatory discounts for hail resistant metal roofs. If you have had a metal roof installed or are thinking of having one installed it is best to assure up front that the roof you are purchasing will enable you for an insurance discount to help offset the cost of your new metal roof. With fluoropolymer technology being applied to pre painted metal such as Kynar 500, or Hylar 5000 paint finish long term warranties are available against paint fade from Metal Roofing Manufacturing Companies such as Berridge Metals and Englert Metals; furthermore almost all colors of metal available from Englert Metals are considered cool roof and are eligible for up to 25 USGBC (United States Green Building Council) LEED (Leading energy efficient design) points. Metal Roof Companies are no different than any other type of company in that they vary greatly in ability, service, reputation, and quality. 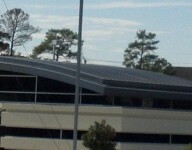 When looking for a Metal Roofing Company it is recommended to do your research and make sure you are dealing with a company that has been in business at least 5 years, is a member of the Better Business Bureau – with a good rating, and had certified applicator status for the system they will be installing if they win your business. It is also strongly recommended to have the Metal Roofing Company you choose provide you with a COI (Certificate of Insurability) listing you as an additional assignee, and that they have a Workman’s Compensation Policy endorsement to protect you in the event that anything goes wrong as working on metal roofs, particularly roofs with a steep pitch can be very dangerous and requires the proper safety equipment and training. I remember when another roofing company called our office asking for a labor only bid on a standing seam roof. I asked the gentleman calling what was going on and he replied, “Well it’s a Standing Seam Roof and we have all the materials on the ground but our installers can’t figure out how to install it.” I was amazed, first the installers typically assist in ordering all the materials to assure that everything has been addressed as all metal roofs are unique and they are not like composition shingle roofs where you just figure out the roof area and order bundles of materials and other accessories. Metal roofs generally have to be fabricated to exact specifications that account for all the facets, rake trim, eave trim, soffit, and other accessories. This call proved to me that not all roofing companies are capable of installing metal roof systems, and even not all Metal Roof Companies are capable of installing all types of metal roofs as per relevant building code, manufacturer installation protocol, and SMACNA (Sheet Metal and Air Conditioning Contractors National Association) which is an international group representing over 4000 contracting companies and helping to assure best industry standards are met. In close I summarize that Metal Roofing is no different than any other trade, do your research, realize that you are getting what you are paying for, and that if you follow the above listed recommendations you should be able to avert a headache. Good luck finding the right Metal Roofing Company. Contact us for roof repair Houston Texas for reconstruction and leakage of your roof.